Are you fancying a good herb cheese and do you have a taste for the extraordinary? This Dutch truffle cheese would be a great choice. It is a real specialty. 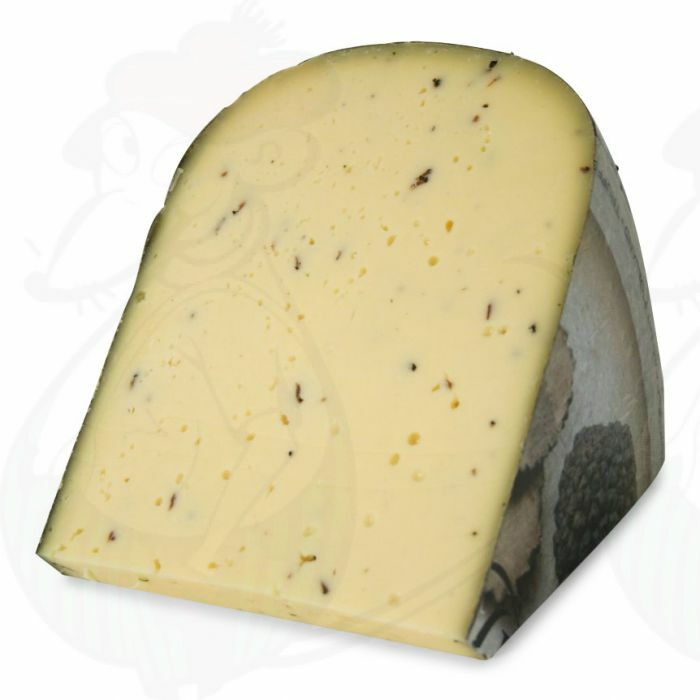 Truffle cheese has a very characteristic and pronounced flavour; a real treat for your taste buds. A semi-matured Gouda cheese, truffle cheese has matured naturally in 8 to 10 weeks which gives it a light and creamy touch. The cheese contains real truffles.